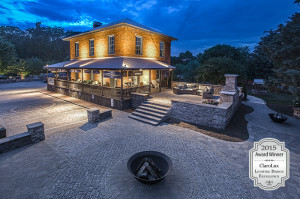 ClaroLux® would like to congratulate our Lighting & Design Award winners, and thank all of our dealers for their nighttime photo submissions this year. We were overwhelmed by all of the beautiful projects that were submitted for our ClaroLux’s 2015 Lighting & Design Photo Contest. 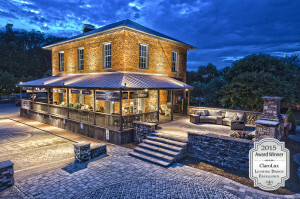 ClaroLux’s 2015 Lighting & Design Award winners were judged against projects submitted from ClaroLux® lighting contractors throughout North & South America. The winning entries were determined based on various criteria including design creativity and techniques, project implementation, technical specifications, and overall continuity. 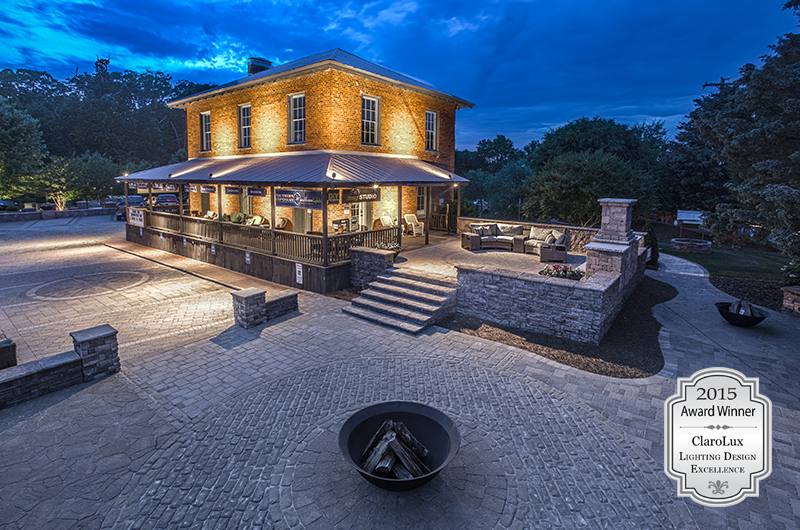 We are very proud to announce the 2015 winners and their dedication to the outdoor lighting industry. 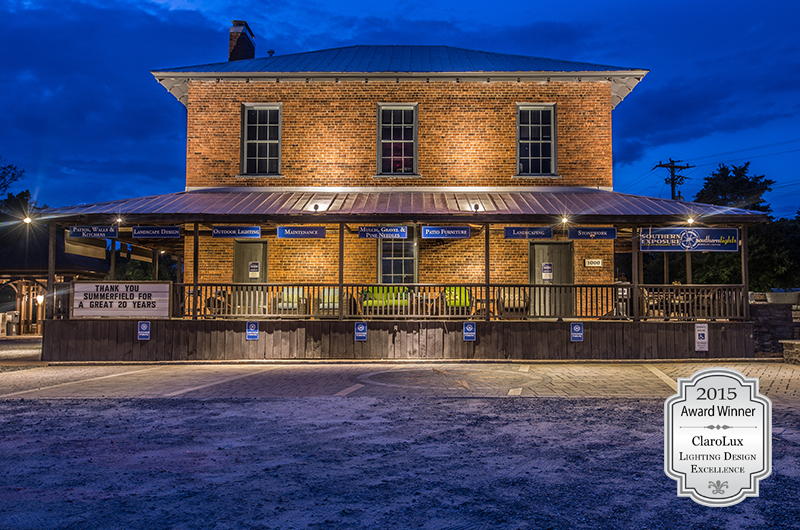 Southern Exposure’s Historic Store Front in Summerfield, NC. 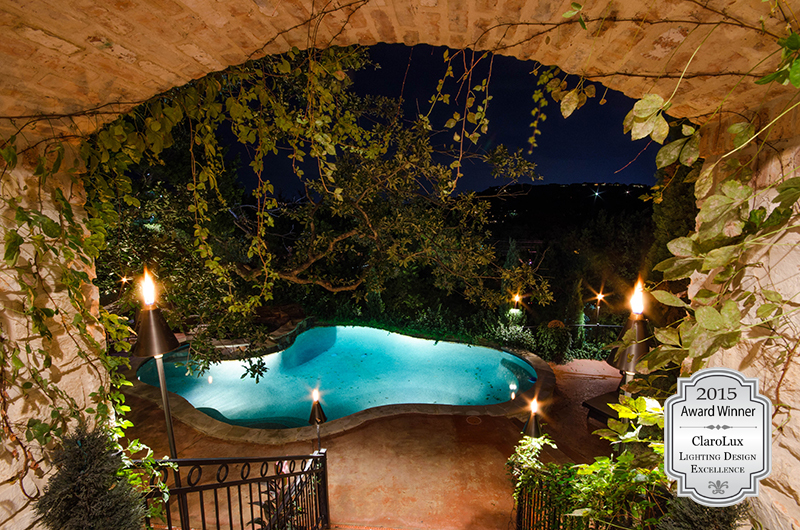 Joel Mayor, owner of Texas Outdoor Lighting, took to the air to show off a few of his recent landscape lighting projects in Austin, Texas. As you can see, Joel’s background as a US Navy Airman still comes out from time to time. 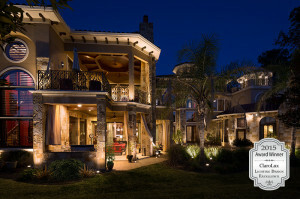 The videos below show when it comes to landscape lighting, Texas Outdoor Lighting, is one of the best in Texas. 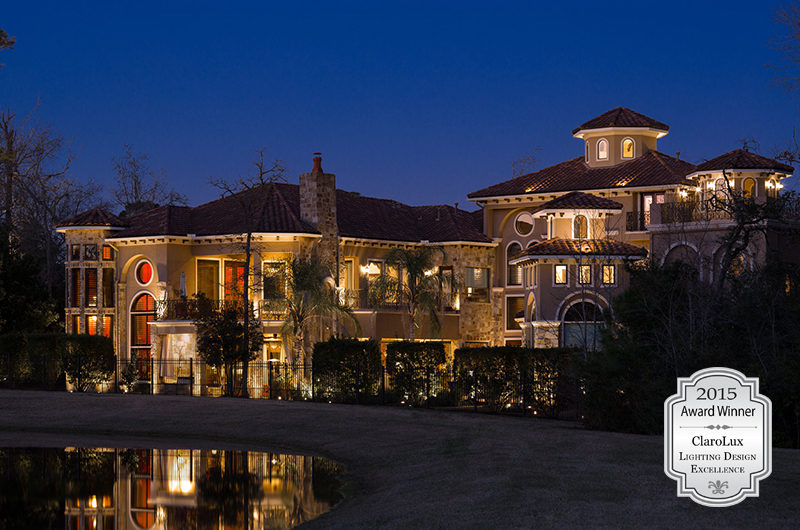 On this particular project Joel used ClaroLux’s SWL1-III specialty wash lights with Brilliance’s 2W Beacon LEDs to illuminate the long winding walkway leading up to the beautiful Texas estate. 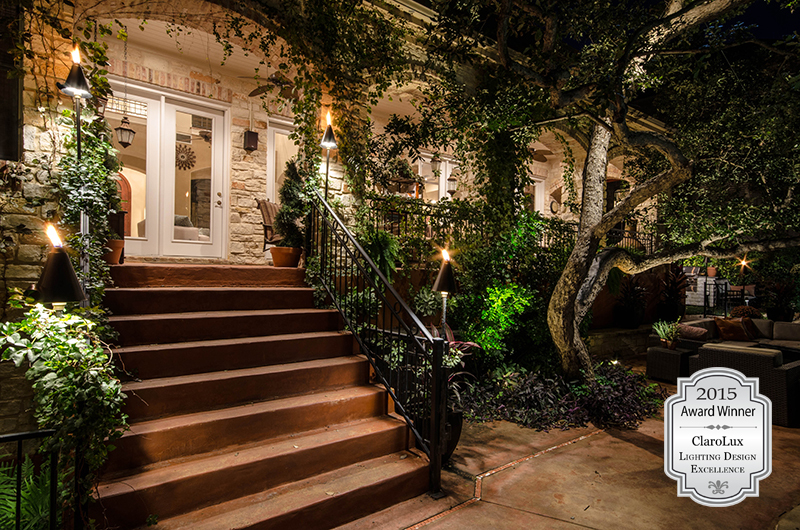 The home was illuminated by ClaroLux’s BL23-III brass bullet lights with Brilliance’s 5W 2700k LED 60˚ MR16s to give the home a soft appealing glow. The estates beautifully landscaped areas were moonlit by ClaroLux’s TL24-III brass tree lights with Brilliance’s 7W 3000k LED 30˚ MR16s. 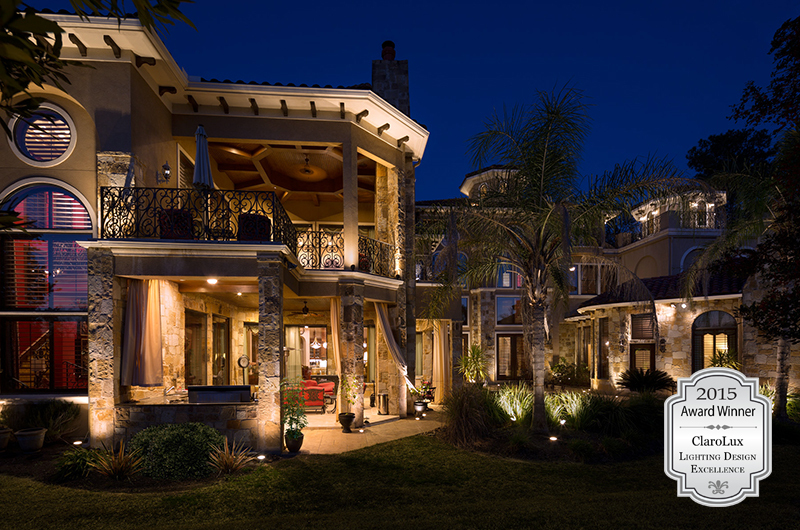 The owner of the estate wanted an elegant, softly illuminated, resort style feeling at night and Texas Outdoor Lighting nailed it. 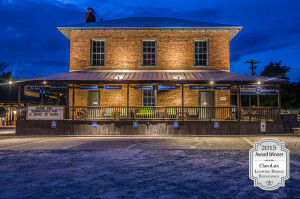 Texas Outdoor Lighting’s team created many different levels of light on the low country log cabin by using ClaroLux’s BL23-III brass LED bullet lights strategically mounted throughout the cabin. 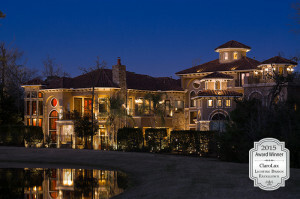 The owner wanted to show off the incredible craftsmanship of not only the home but all of the grounds. 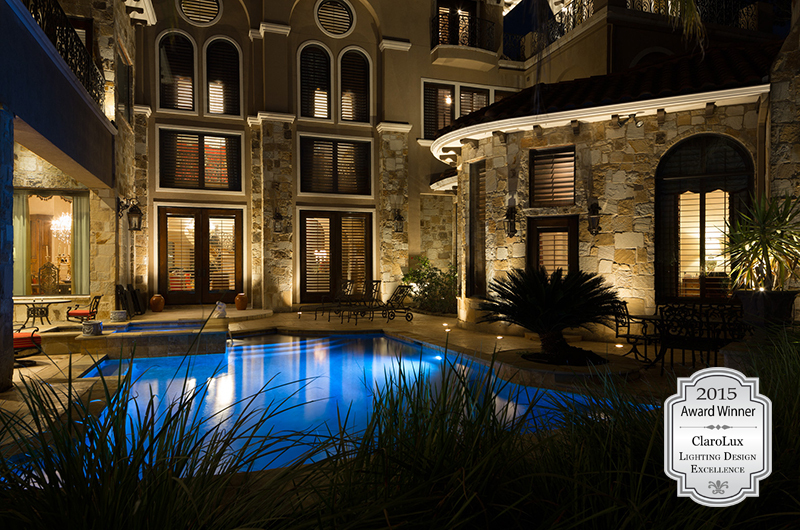 Texas Outdoor Lighting created one of the best projects of 2015 by going above an beyond what the homeowner ever imagined. When it comes to creating nighttime master pieces Texas Outdoor Lighting is one of the best in the business. Creating nighttime oasis’ takes skill and Joel Mayor and his team have exactly what it takes to give you the exact look you are going for when it comes to your nighttime scenery. Please visit their website for more info on how they can help you light up your property at night; www.texasoutdoorlighting.com. 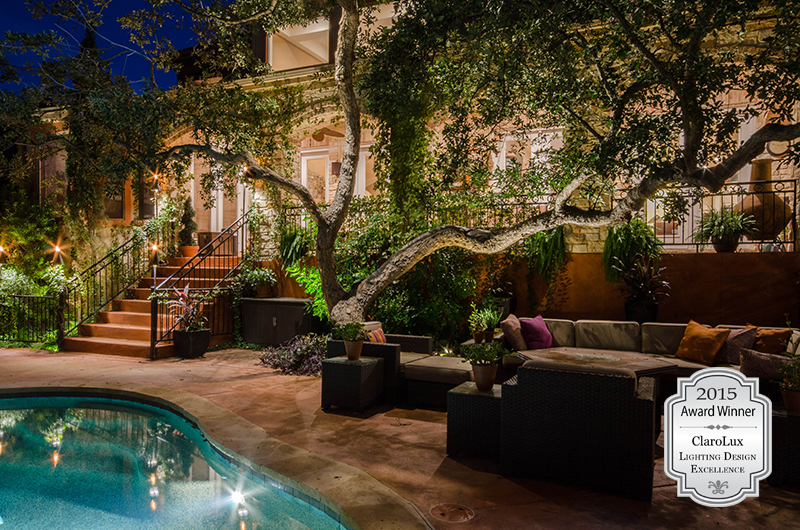 Texas Outdoor Lighting – Your Landscape Lighting Specialist.